I have had to admit defeat…and this doesn’t happen very often…but I have had to agree with Paul; we are now far too busy for me to manage the farm without regular help (Paul helps but has a full time engineering job). 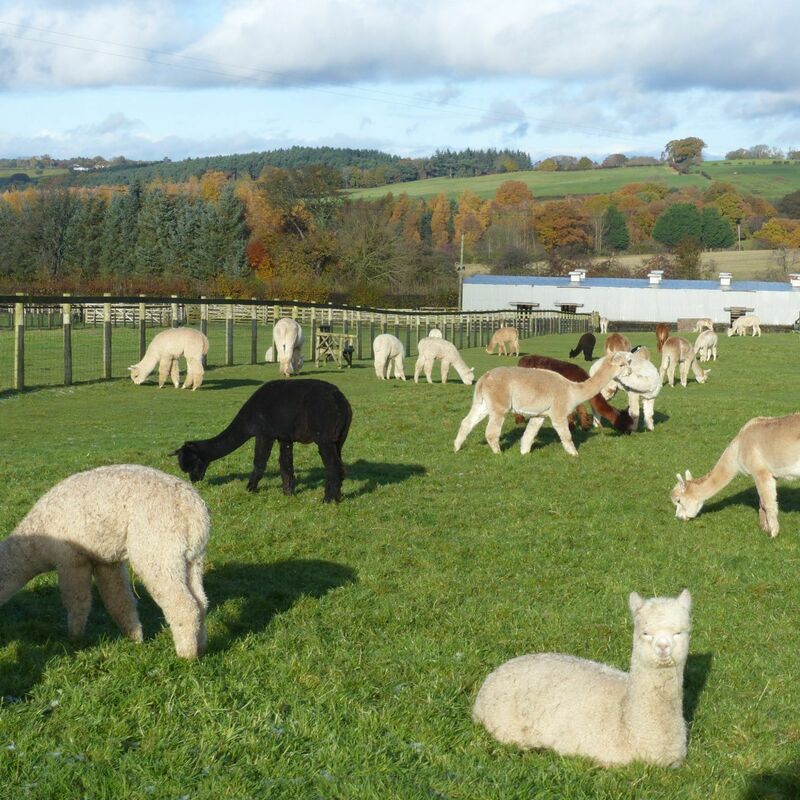 We turned away work for our stud boys this year, because with 55 births to supervise and 60 on farm matings (ours and liveries), fitting in too many drive-by stud services is a challenge. So it was an advertisement was placed in the local paper, and it brought many suitable candidates, but in the end there was only one man for the job. To our surprise and delight, Craig (our son-in-law) who holds a senior civil engineering position has decided to opt for the quality of life card. 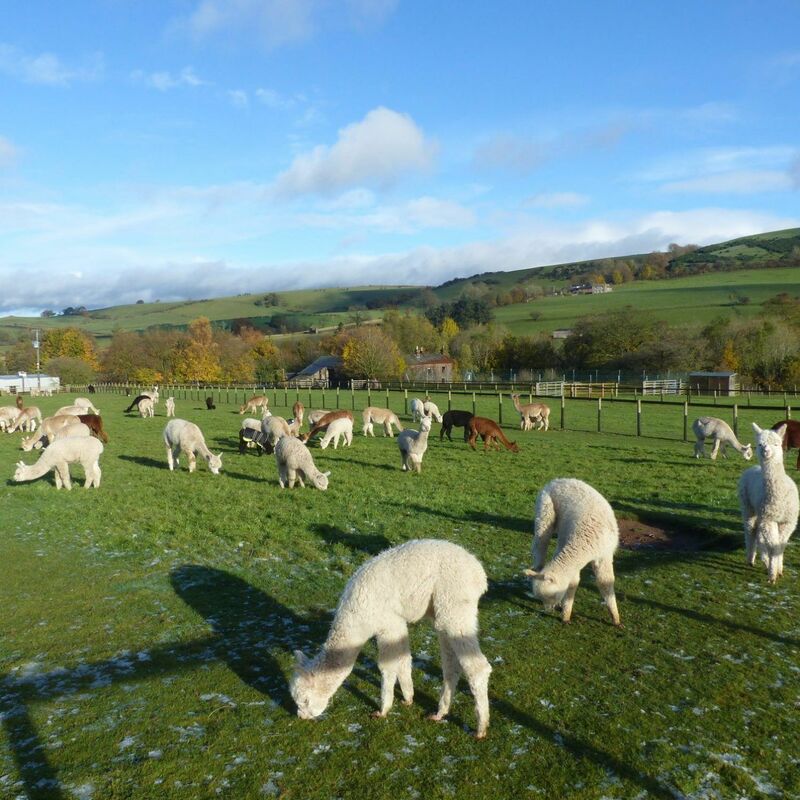 It is a massive change of position for Craig, but it will allow him to really learn about our herd and the alpacas industry, with the view to taking over the business when we retire (quite a few years away yet). Of course most importantly it will give him more quality time with Robyn and their young family. Robyn and Craig are pictured above (an archive photo). Craig isn’t the only addition at Beck Brow. We have four new females, 3 Suri and 1 Huacaya. Bozedown Delphi needs no further introduction as she featured heavily in an earlier blog (Light Champion Showtime 2016). 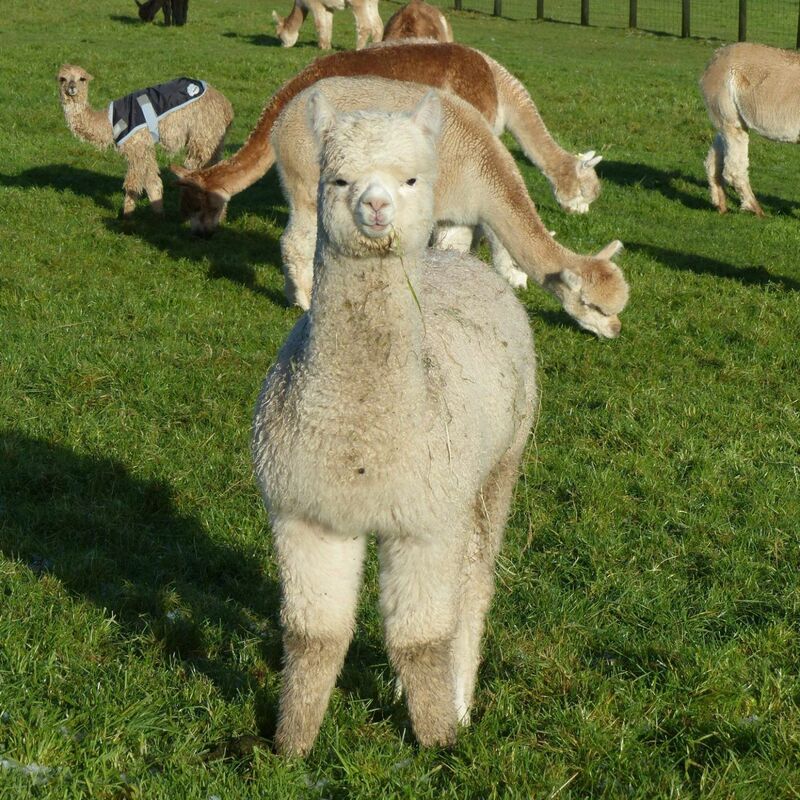 Her team mate is Bozedown Eclipse a beautifully lustrous brown Suri who has Bozedown Volare as her granddam, so is related to all of our Lignum girls. 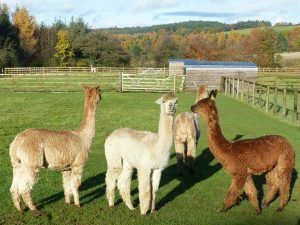 Also in the new girls paddock is Spring Farm Josephine (who has a history of producing champion progeny) and Spring Farm Mystique. Having decided to focus on coloured Suri (especially brown) it really was a easy choice to purchase a Pucara Sur-Real Rapper of SPR daughter (Rapper is a son of the awesome Moon River’s Peruvian Durango) and Mystique certainly fit the bill. Mystique is the full sister to Spring Farm Kola, who is the dam of Wellow Aslan’s Woodland Warrior (sire: Sierra Bonita’s Macgyver’s Aslan of Suri Stud) a multi-championship winning brown male. 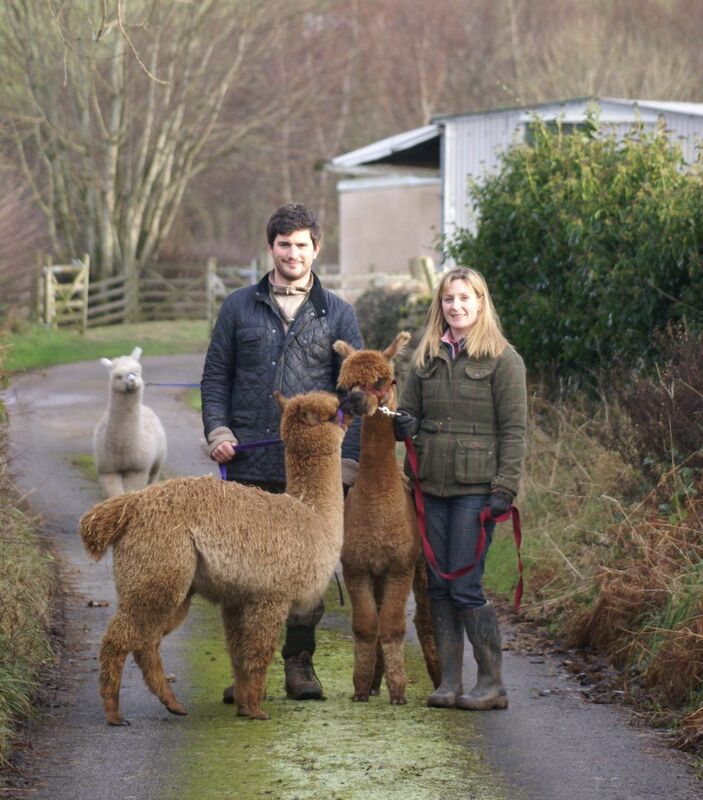 As Mystique is carrying an Aslan cria, could we get a Woodland Warrior too…well let’s just say we are excited! Thank you Chris and Vicki. Unfortunately I didn’t manage to get a photo of all four girls facing camera! If you are thinking…well she must have had her Suri addiction satisfied now…you would be wrong. 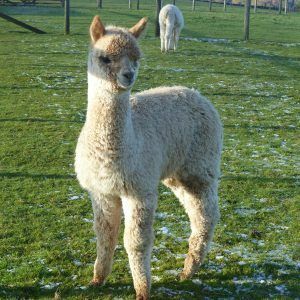 I did mention that I had made a purchase at Showtime; Wellow Victor’s Opal is a lovely light fawn weanling female with such a lustrous fleece I couldn’t resist. 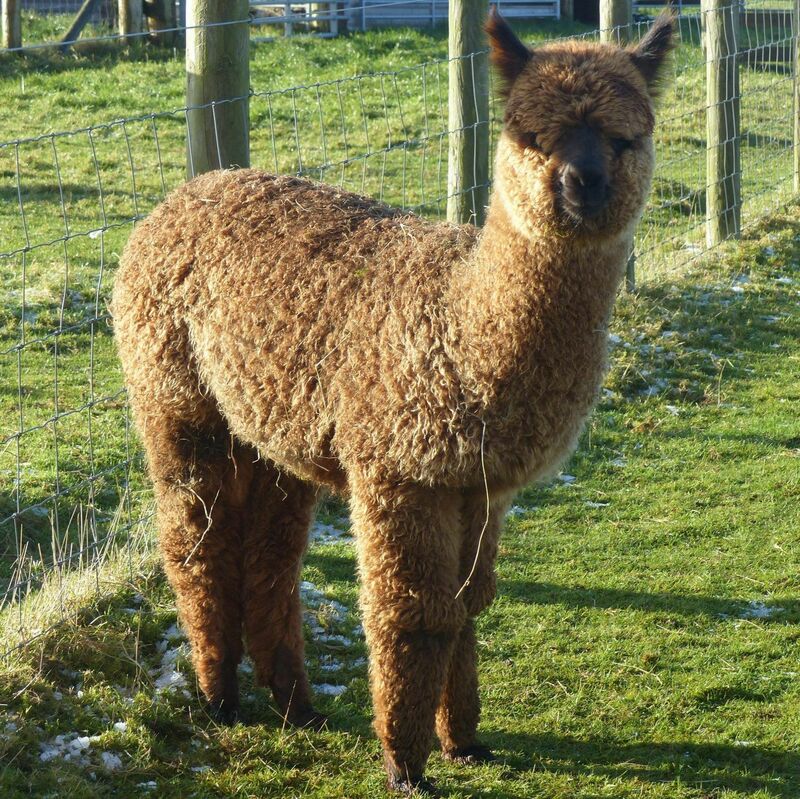 Of course she couldn’t travel all the way from the Isle of Wight without a friend…which necessitated the purchase of Wellow Kaiser’s QTaz, a young brown female (also with Rapper in her pedigree). We have had some really cold and wet weather here, the alpacas with cria have been in at night for the last three nights. 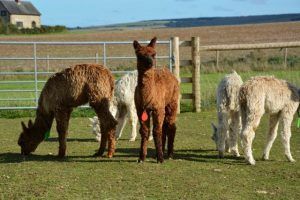 We have been rather concerned about Beck Brow Indie Pop, who was diagnosed with pneumonia, which we thankfully spotted quickly and had the vet give intravenous antibiotics. Indie Pop is a Goldmine daughter, from an Explorer daughter, so really is the result of years of our breeding. 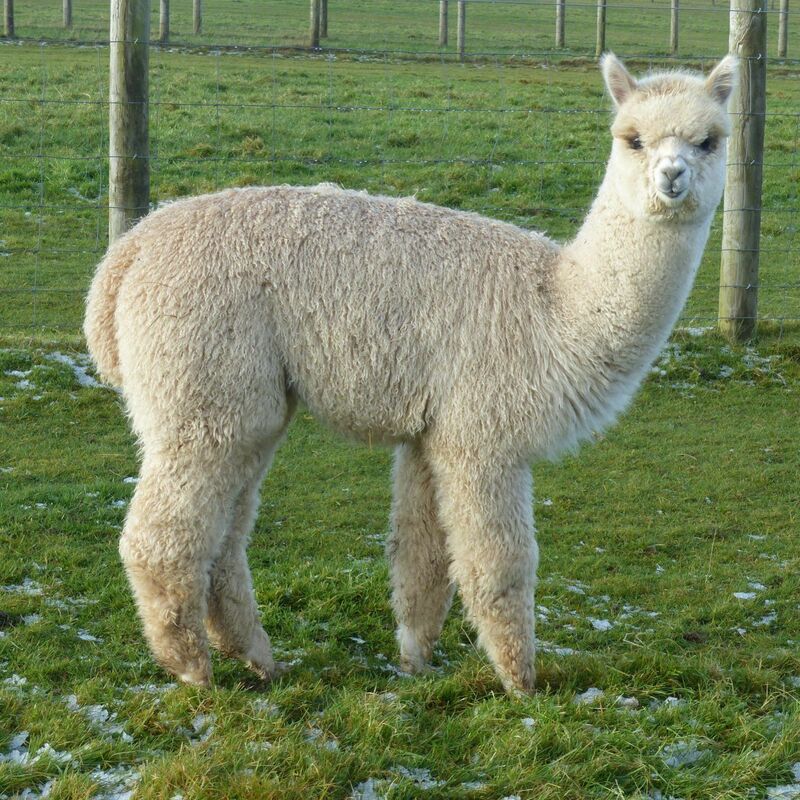 She has a beautiful phenotype with such a dense and long fleece. A strong girl we were hopeful she would fight it off. However I let her out during the day today (day 3 of antibiotics) but she got chilled and coliky in such a short time. So all back in again and she is much better now warmed and with Buscopan and Finadyne. 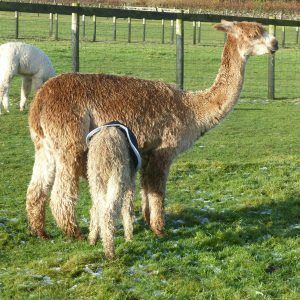 As mentioned in an earlier blog, our 2016 success rate for getting our females pregnant on first mating hasn’t been as high as usual. Some blood results suggest that low iodine levels (and borderline Selenium levels) are likely to be the cause. After taking some advice, we are now adding seaweed powder (iodine) to our feed and giving a selenium drench every 8 weeks. We will retest blood levels in a few months. It’s that time of the year we we are trying to decide on our 2017 National Show team. Only a couple of weeks until entries open, so we need to have a number at least. 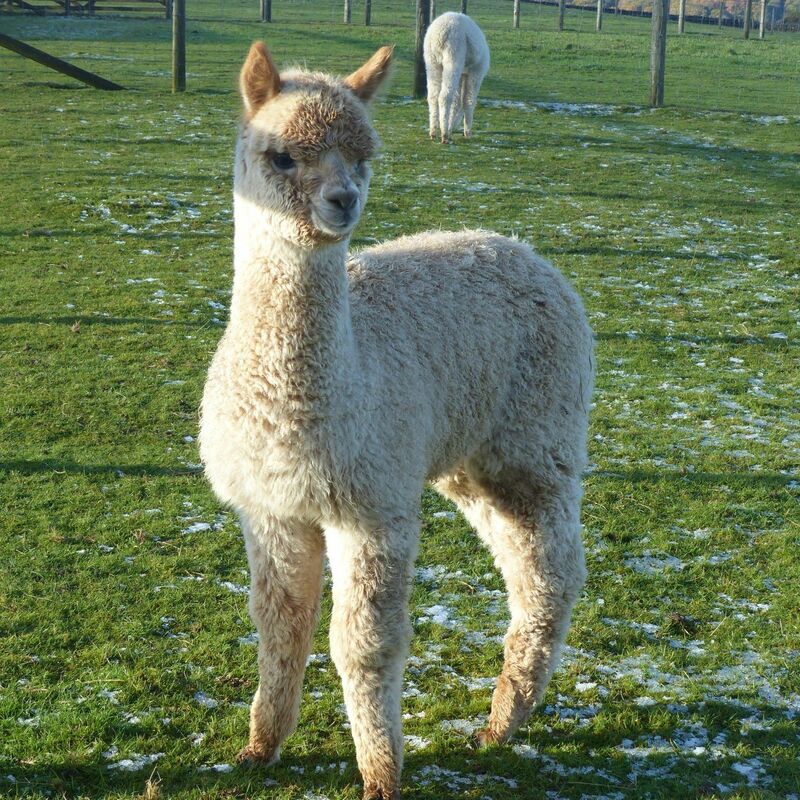 We have some definites…one being Beck Brow Back Of The Net, who is full brother to Beck Brow On The Money (OTM). OTM is having a visit from the chiropractor tomorrow – he was walking stiffly at Showtime, but has been absolutely fine since – but best we get him checked out. My favourite female of the year is Beck Brow Kiss Me Quick. Her dam; Beck Brow Snooty Boots is the dam of Beck Brow Jimmy Choos (standing at stud at Inca Alpaca), and she has yet again produced another stunner (she is also the dam of Beck Brow Fair Play- Champion Black Female – now owned by Old Felton Alpacas). Some females just never fail you. We are of course already excited about our 2017 births, not least because we will have our first Gild Edge Samurai of Beck Brow progeny. 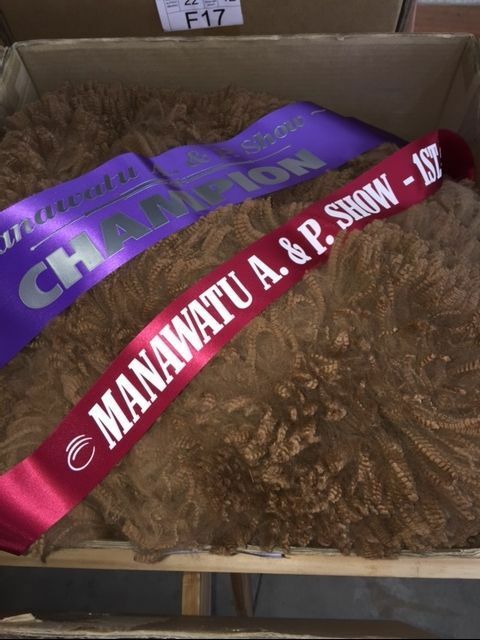 Samurai gave us a welcome surprise when he won Intermediate Champion Fleece at the Manawatu Show in New Zealand recently.